Following countries select UPS with extra cost, we(seller) will help to process customs cleance and pay the taxes & customs fees, which means buyer needs not process customs clearance or pay the taxes & customs fees again. 2. 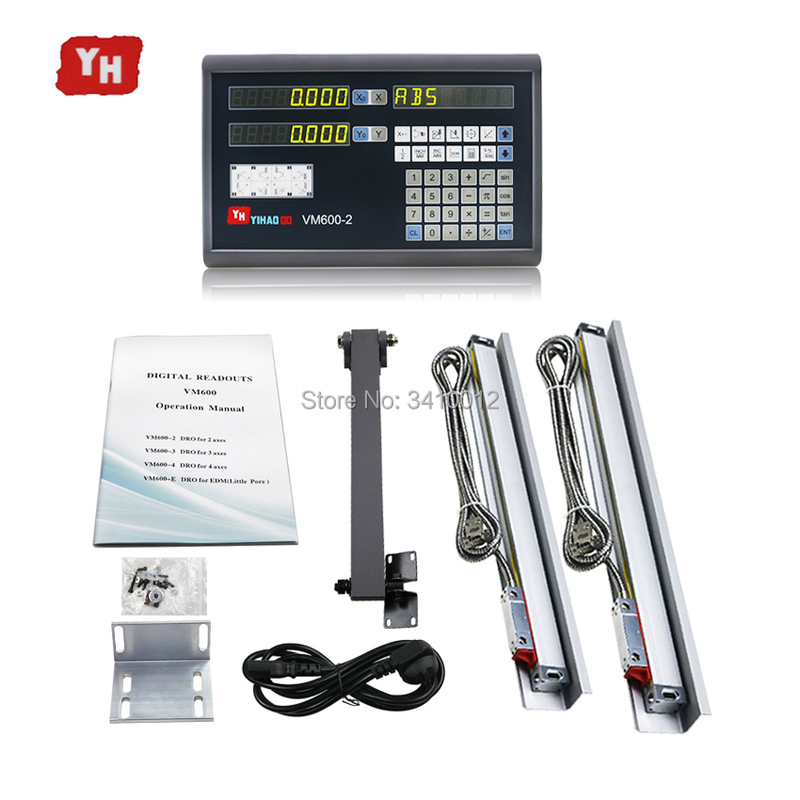 You may choose any 3 pcs scales GS10 within 0-1000mm with 5um resolution. Scale length above refers to the real travel of the linear scale. The total length is 144mm longer than travel. 3. We supply 0.001mm resolution, each 0.001mm(1um) scale should charge extra 20$, for extra please contact us before ordering. Input signal: TTL square wave. Advanced Optical Measuring System: The slide carrier of the GS series scale uses a five bearing design for optical grating linear transducer which has been proven as the most reliable system design in today\'s market. The glass grating slideways are lapped and JIS standard P5 grade bearings are used to achieve smooth and accurate movement and long working life. Double Seals Design: The plastics seals of GS series scales use an innovative material to offer superior oil resistance, high elastic recovery properties and durability. Carefully designed lips geometry offer low slide resistance. 100%Laser calibration: All glass grating transducers are individually inspected and calibrated by our in-house laser calibrator to ensure accuracy comply 100% with the specifications. ASIC Interpolator: ASIC Interpolator is built-in inside the GS Series Glass grating linear transducer to facilitate increased resolution of the grating .All frequency multiplication is implemented 100% by hardware phase shifting inside the ASIC interpolator to minimize the real time measurement error. Because all resistor ladders for phase shifting are constructed with same piece of Semiconductor inside the ASIC which have same temperature coefficient. therefore. Error drift caused by environmental temperature change is minimized. Industrial Standard Output Signal Interface: The industrial standard TTL &RS-422-A digital signal output are available for user\'s choice User can choose the most suitable signal inter face according to their cost, power & EMI requirements. Standard 9 pin DSUB9 and DIN7 7pin connectors are available for user\'s choice. This is a complete kit. It includes a ES-17 serial readout, three glass scales, each with a 3m cable. Scale covers, user\'s manual and all the other accessories for installation will also be inclued in the package. Please contact the seller in advance if you prefer other models of readout instead of es-8.